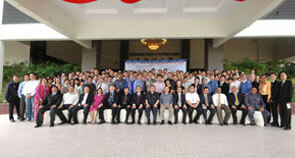 Iskandar Malaysia is a world-class and intensive economic development project promoted by the government of Malaysia. 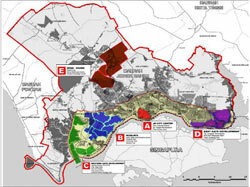 Economists expected more than RM360 billions will be invested in Iskandar Malaysia over the next 20 years. Iskandar Malaysia is located in Johor, the southern gateway of Peninsula Malaysia. It was formerly named after Sultan Iskandar of Johor and will be used now instead of "Wilayah Pembangunan Iskandar". This new development project was officially launched by the Sultan of Johor on November 5, 2006. IRDA (Iskandar Regional Development Authority) is the federal statutory body responsible for realizing the vision and objectives of Iskandar Malaysia. It is the only agency to taking charge for the direction, policies and strategies in relation to development within the Iskandar Malaysia. CDP (Comprehensive Development Plan) is the plan that has been adopted by IDRA to govern the overall development framework for Iskandar Malaysia. The CDP is divided into seventeen chapters, in two main sections. 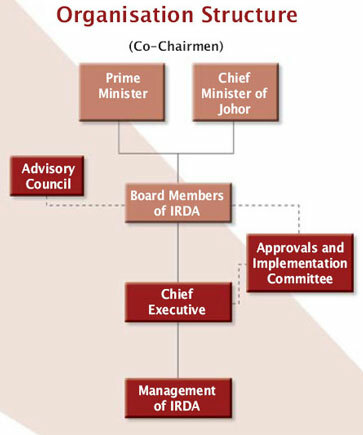 SJIC (South Johor Investment Corporation Berhad) is the company wholly owned by the Johor State Government. The purpose of this company is to drive the development of catalyst project and it being formed by eventual shareholding structure of Khazanah Nasional Berhad, EPF and Kumpulan Prasarana Rakyat Johor Berhad.